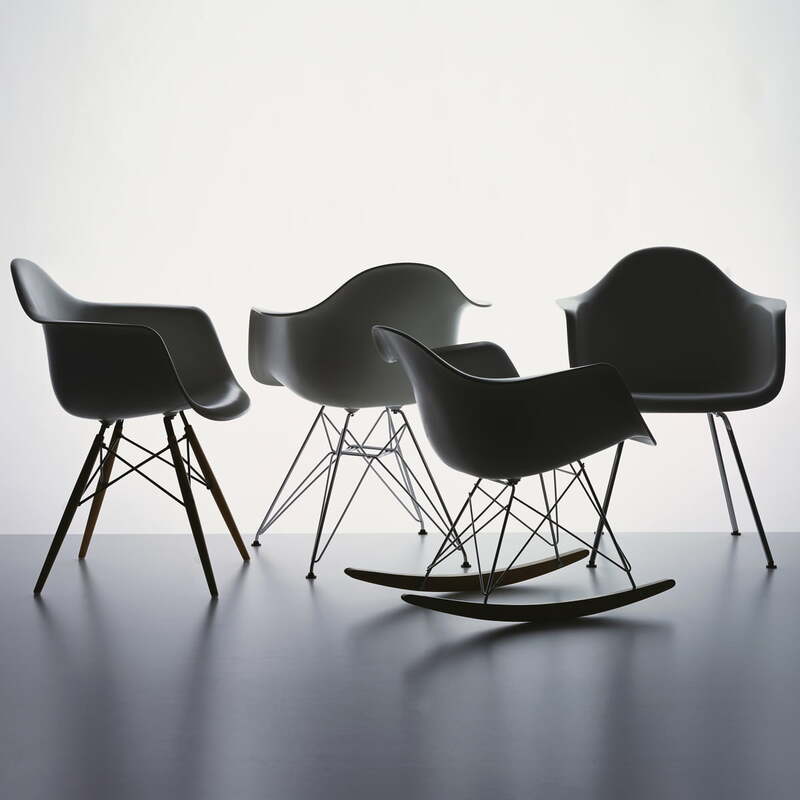 The plastic armchairs, designed by Charles & Ray Eames in the year 1950, were introduced for the first time at the MoMA's "Low Cost Furniture Design" competition in New York City. The organically shaped seats made of plastic were later combined with different bases and millions of copies were produced. Their latest version, which is made of polypropylene gives you an even higher seating comfort. The Eames Plastic Side Chair DAR (Dining Height Armchair Rod Base) is made by Vitra in different editions, colours and with different bases. Thus, the chair can be put together according to your own vision. Since 2015 the base is also available with a height of 43cm. This is how Vitra reacts to the growing average body size, which has increased since the chair's first production in 1950. 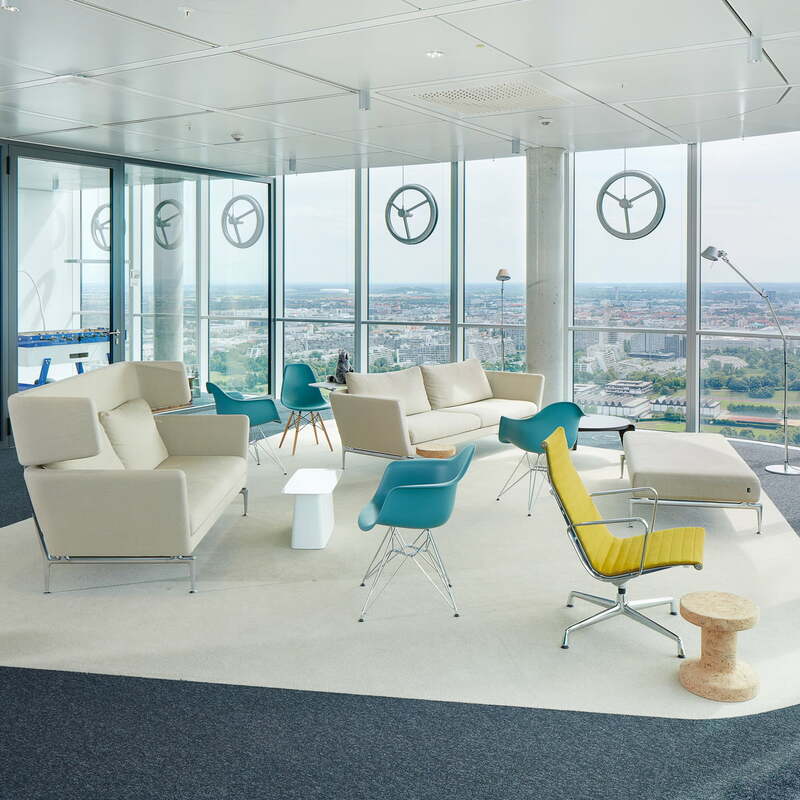 The small difference in height does not affect the combination between the "old" and new versions of the chair. Each group of chairs can be updated and extended without any problems. With its seat made out of polypropylene and the wire base with cross struts, the Eames Plastic Side- and Armchairs are absolute classics for your home design. 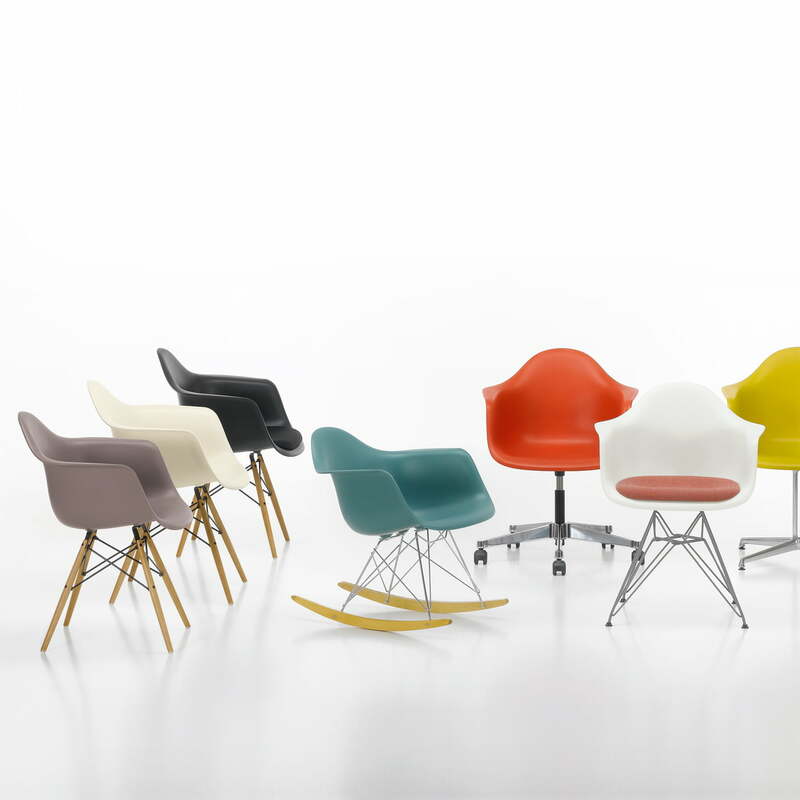 Nowadays, the classic Eames Chair is not only used in living rooms, but also in waiting rooms, cafes, restaurants and other public bodies. 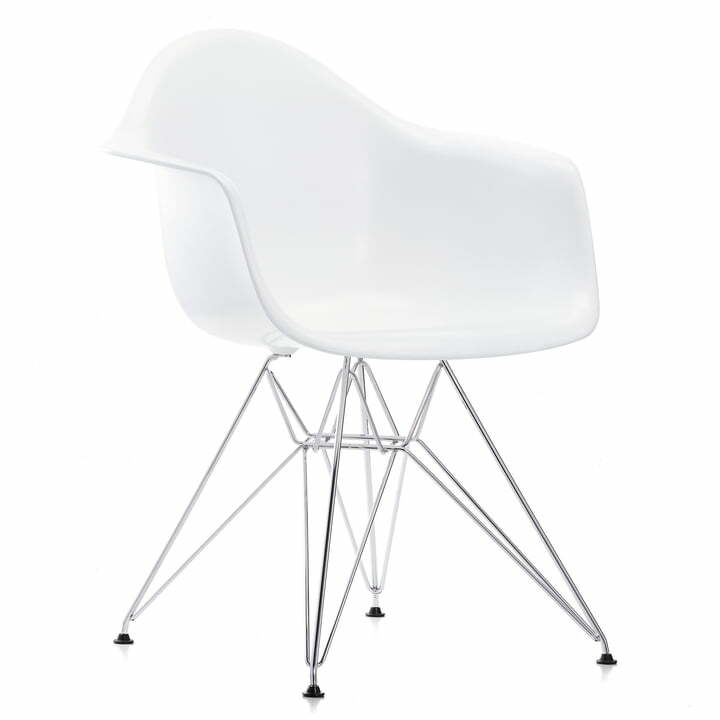 Please note: The Eames Plastic Side Chair DAR is delivered with white or black felt glides depending on the base ordered. Plastic glides are also available. If you would like a different seat, base or glide colour, please contact our customer service. They will be happy to assist you!